Some of the filmmakers who have made it to the prestigious Indian Panorama section at the ongoing International Film Festival of India have said that the treatment given to their films is not encouraging. "What's the use of getting a film selected for the Indian Panorama? What we get is a three-day accommodation here but our film does not go to any festival from here. They don't get money," Dr Biju, a Malayalam filmmaker whose movie 'Akashathinte Niram' is part of the Indian Panorama section. He said that he would never want to get his movie again in the Panorama section. 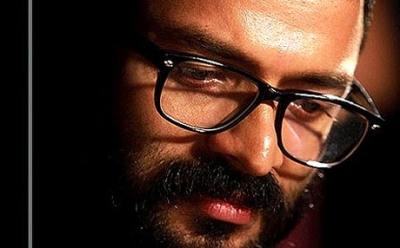 Konkani filmmaker Dnyanesh Moghe, whose 'Digant' is making waves at the festival, said that platforms like Doordarshan should be made available for the filmmakers by the IFFI organizers. The director said that he is not against the Indian Panorama section "but there should be some support for the movies from the organisers". Incidentally, Digant is the only Goan representation at the IFFI. "Somebody should be interested in good cinema. It's a constant struggle to make a film and get people to watch it," said Sunanda Bhat, a documentary maker, whose work 'Ningal Aranaye Kando' is in the non-feature film section of the Indian Panorama. She said that the filmmaker is just given flowers during the presentation ceremony and later no interaction is allowed with the audience. An eminent jury selected 20 films for the Indian Panorama after going through 300 odd entries.